District Judge Susan Illston of the Northern District of California conducted a bench trial of plaintiff’s overtime claim under the Unfair Competition Law (“UCL”) and found that defendant UPS met its burden of proving that plaintiff was properly classified as falling within the administrative exemption in his role as “On-Job Supervisor”. 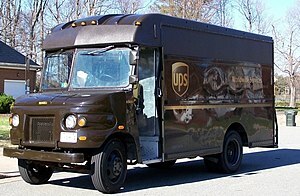 Lopez v. United Parcel Service, Inc., C 08-05396 SI, 2010 WL 3630619 (N.D. Cal. Sept. 14, 2010).